Through the use of carefully selected lighting fixtures you can transform dark, flat landscapes into three dimensional, dynamic spaces full of colour and life. Literally painting your backdrop with light. Trees, buildings, lakes, sculptures etc can all be brought to life by your creative imagination. Using state-of-the-art LED fixtures, virtually any colour combination is possible. 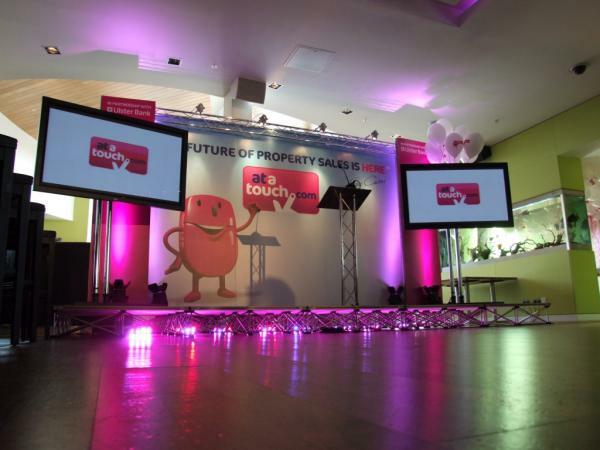 However if you would prefer a more dynamic look, why not project images or video on to your building or walls? You can effectively ‘wrap’ the building in a live video or sequence of images. Many users of portable staging look for great ideas to really make an impact. 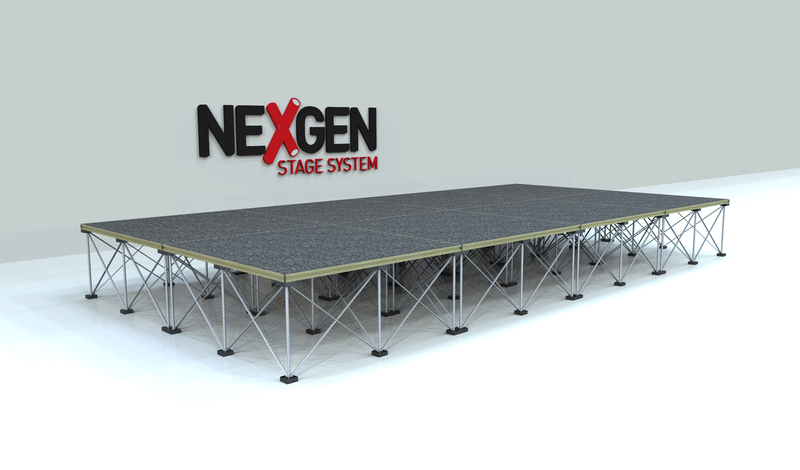 With some of the staging brands on the market, its possible to use the aluminium legs reflect light using strobe lights under the deck platforms. This can be a great trick if you decide not to hide the leg structure underneath the stage with a valance skirting surround.